" ZippoCollector.ru - 5 years, normal flight! On February 27, Moscow hosted affiliate conference, which officially announced that in 2015 the company "GALSER" became an official and exclusive distributor in Russia. This is very good news for the collection community, and we expect big changes for the better. GALSER ready to listen to the collectors and help us. I got great pleasure from communication with the guys from GALSER and understand very well that they can change things for the better. 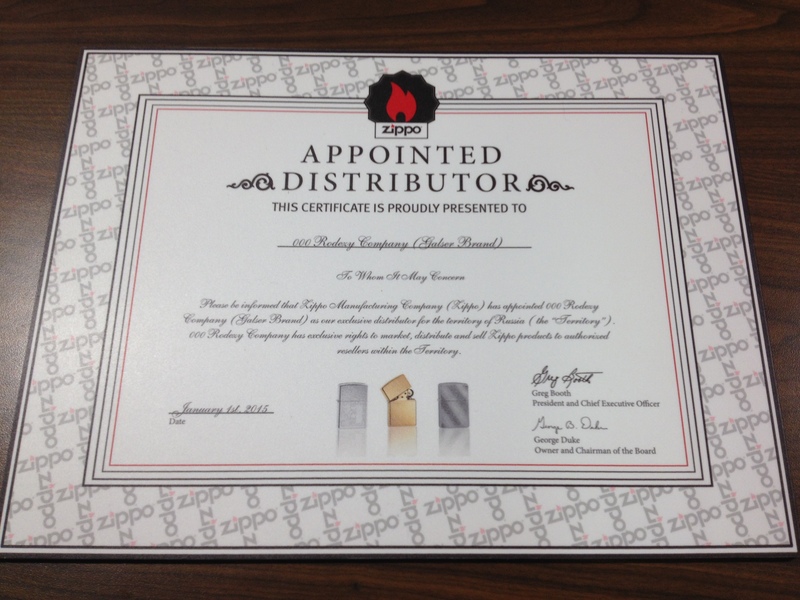 Increase in the number of outlets where you can buy a Zippo, including in the regions. 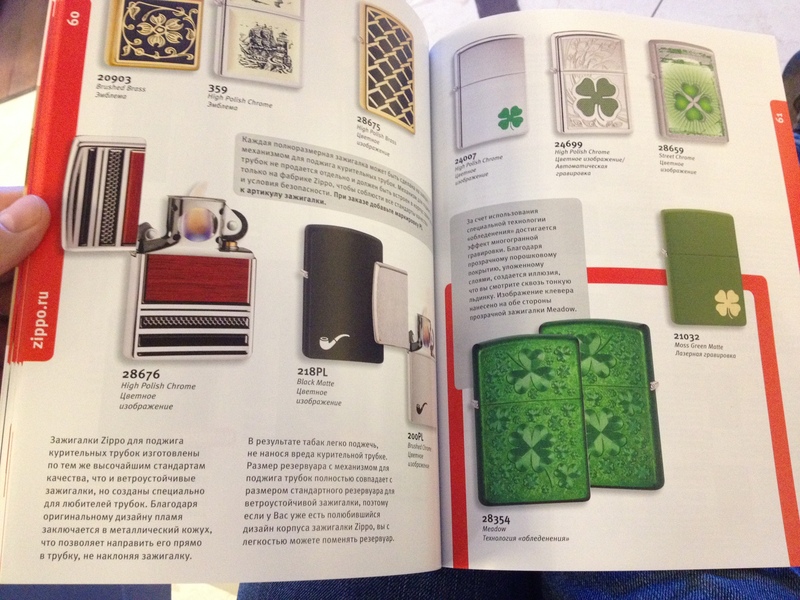 Russian-language edition of the directory Zippo (the first in the photo below). Issue of new Russian designs Zippo, which we will ask in advance Collection Community: what you want, that like it or not, your ideas. You heard right: we will show the pre-Russian zippovskie designs for you! The possibility of issuing club and customized lighters (edition of 30 pieces) directly in Bradford. Now it will be easier and more affordable. AND FINALLY opening their own Russian service center Zippo. Now, to repair the lighter will be here. And one more good news: in Russia will be officially delivered zippovsky gas for lovers Zippo Blu, as well as watches, household gas lighters and hand warmers! This entry was posted on Saturday, February 28th, 2015 at 22:10 and is filed under News . You CAN follow Any responses to this entry through the RSS 2.0 feed. You can skip to the end and leave a response. Pinging is currently not allowed. 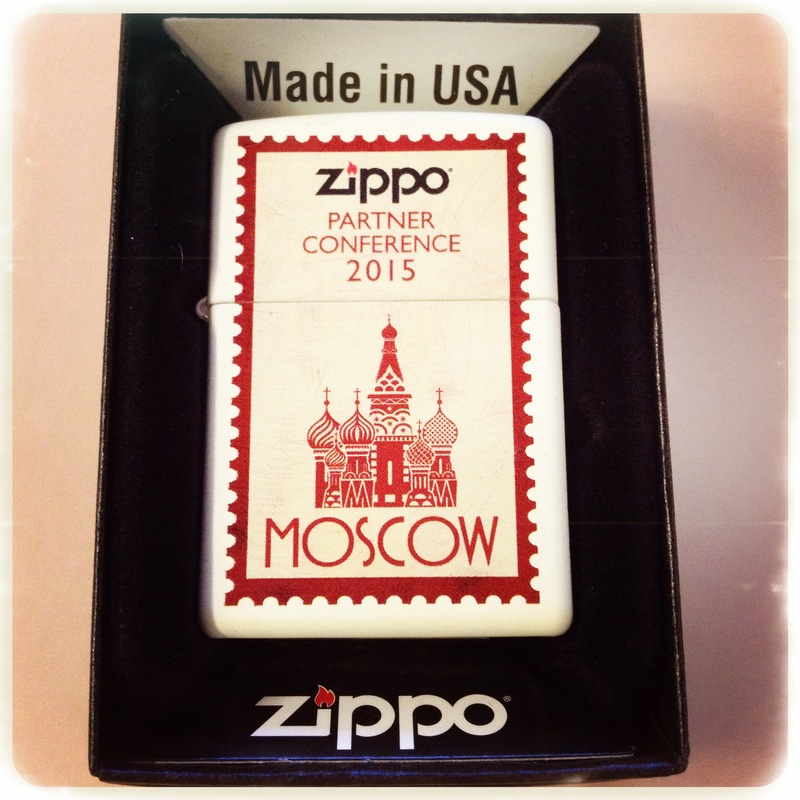 Specialty shop Zippo-Moscow offers Zippo lighters at very good prices! We have a full choice and everyone will be able to choose a lighter for yourself. For buyers who came from Zippocollector.Ru action: when buying lighter fuel and cover as a gift (do not forget to tell the operator). Andrew on How often should I replace the wick in Zippo? Alexander on Zippo Moonlanding 1969, $ 152.50. On the 40th anniversary of the moon landing. Today the site has been 461 visitors yesterday - 409 visitors. On site right now 11 visitors. ZippoCollector.ru website is a private project by copyright. When borrowing any materials, please put a link to the site.